Dudley, a Border Collie cross Terrier, who sadly has gone (during 2014) to join Cindy (also a very long time great companion I had the pleasure of sharing many years with) at a very good age of 16 years old. He joined me at 8 weeks of age growing up to be a superb companion and helping me pass my Higher National Certificate and Foundation Degree in Canine Behaviour and Training. Dudley, at 4 years old, was the first dog I introduced to clicker training and he loved learning new behaviours and working with me. All our training was performed through shaping with the clicker, enabling him to learn a vast array of behaviours and for us to enjoy a very special relationship. He remains a very important part of my life and I thank him for everything he taught me during our years together. 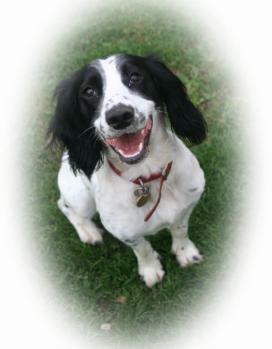 Caena came along whilst I was completing my Higher National Certificate in Canine Behaviour and Training. 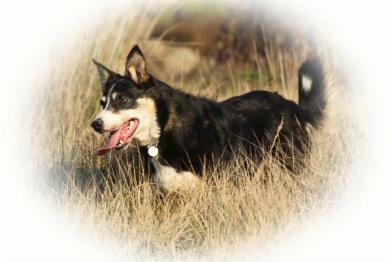 She is a Working Sheepdog registered with the International Sheepdog Society, from champion agility and sheepdog parents. Caena moved in at 7 weeks of age and my intention was to compete in agility with her. She was a very independent puppy but we very soon bonded. Due to the success of clicker training with Dudley, I used this method with Caena from day one. Shaping with the clicker suited her very much, allowing her to use her brain. She joined Dudley in helping me complete the next stage in my studies, a Foundation Degree in Canine Behaviour and Training. I used shaping to teach agility obstacles and directional exercises. She loves her agility and is very quick round a course. We never managed to complete as the success of my dog training school meant working 7 days a week to fit in all the classes but we practised every day and designed agility classes and courses together. Both Dudley and Caena helped in my classes as demonstration dogs. We now enjoy a relaxed life in Portugal and are concentrating on heelwork to music together. Molly, a working Springer Spaniel, joined me at about a year old from a family who were struggling with her via my good friend and colleague, Claire. She knew very little, had no self control, would run away hunting when off the lead, pull like a train on the lead and steal anything in sight. It was safe to say she was going to a challenge! I spent a lot of time with her bonding and showing her what she should be doing. It wasn't long before she could free run in the house and could sit, lie down and have more control of herself. However lead walking and coming back when called took a bit longer, we had to break those bad habits she had previously learned. Our biggest accomplishment together was the successful gundog training we did for my Foundation degree. 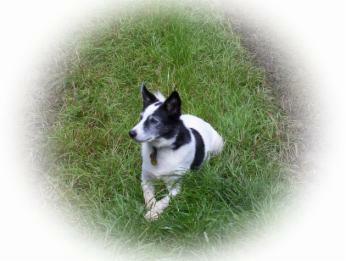 Molly was also a very good stooge dog and worked with me resocialising older, reactive dogs. It was here she met Ghost, a Weimeraner, and Monique and Ryan his owners. Ghost and Molly got on very well, with Ghost learning how to behave around other dogs from Molly. Monique and Ryan adored Molly and became very good friends of mine. 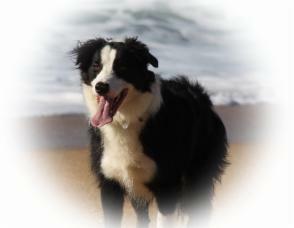 In March 2009 they were looking for another dog just as I was moving to Portugal with my partners business. This was a very sad time as I reluctantly agreed to leave Molly in England with Monique and Ryan, though knowing she would be well cared for. We still meet up together for walks when I come back to the UK and Molly has settled in very well with her new family. Monique and Ryan continued with the hard work of training Molly to come back and walk on the lead and she now enjoys running free with a very good recall. With the help of TTouch she is also much calmer on the lead. These are the latest additions, being puppies I kept from Caena's litter born June 2008. They are completely different in character with Ebbie being the brave 'give anything a go' personality and her brother Joe, being the one that has to think about things before attempting them. Joe is very much like his dad where Ebbie is a character of her own. Like their mum, Caena, they both love to work and learn new behaviours. 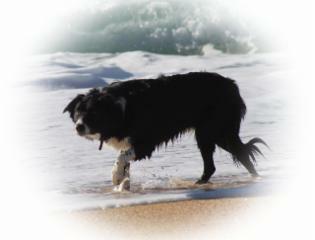 They took moving to Portugal in their stride and now enjoy a life running around on the beaches and headlands. Ebbie loves playing in the sea but Joe is still pondering why it moves back and forth, though he will now get his feet wet. Both are training in agility and, as expected, Ebbie throws herself into it 100%, with the tunnel being her favourite. Joe likes time to assess each piece of equipment and to think about what he has to do.